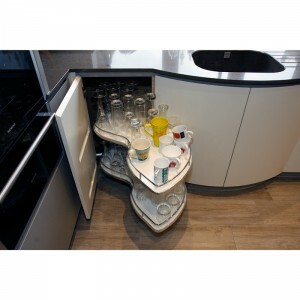 At Mark Williamson Kitchens, we design kitchens around you and the way you live. 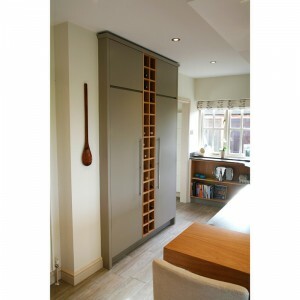 Well designed kitchens are the key to making cooking easier, keeping your kitchen clutter free and having more time. 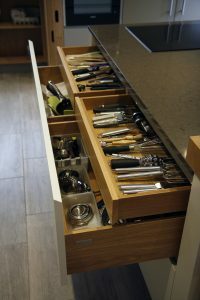 Every bit of space counts and with over 17 year’s experience, Mark Williamson can help you make designing your perfect kitchen easy. To get you started, here are some space saving ideas our clients have asked us to include in their kitchens. 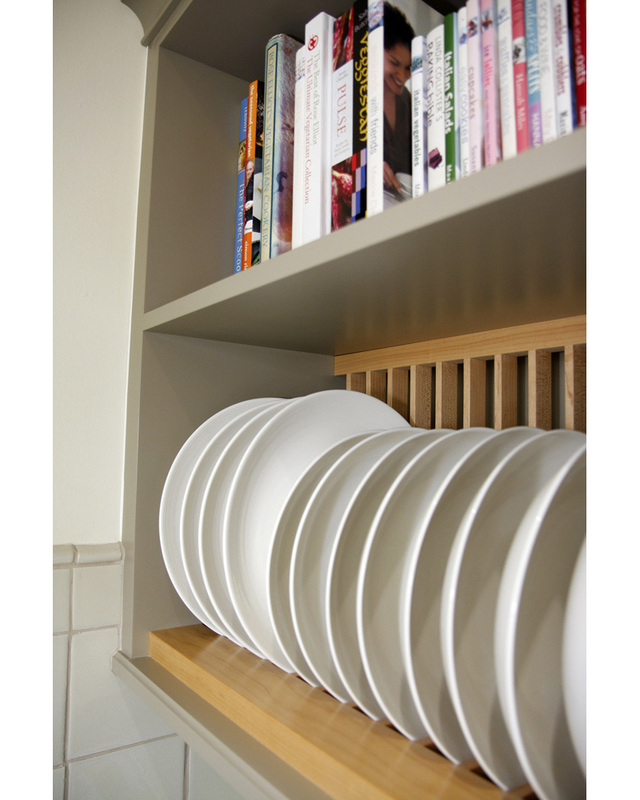 Use all of the space available and gain easy access by using ‘magic corners’, pull out shelves or carousels. 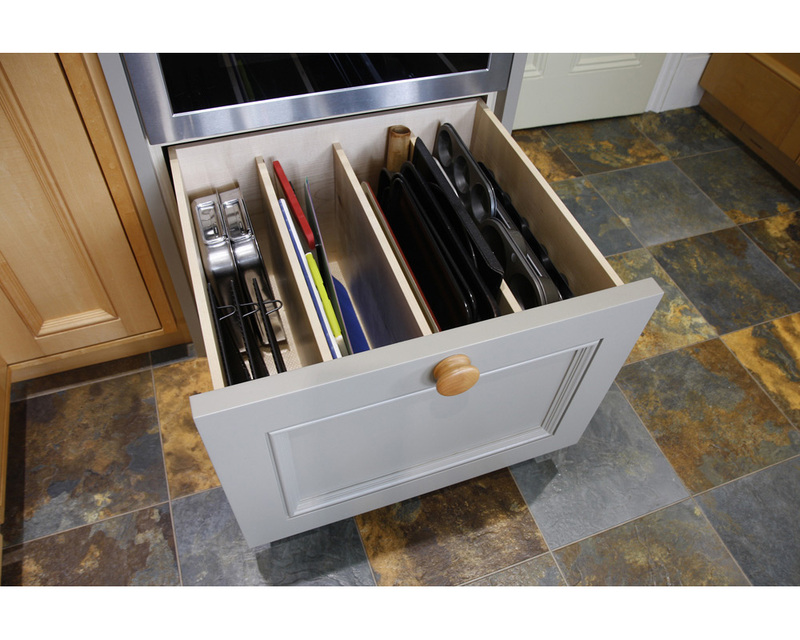 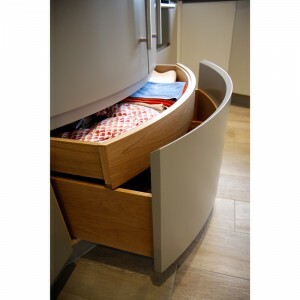 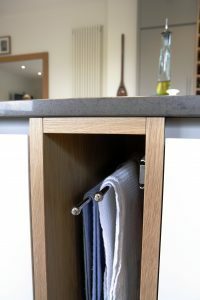 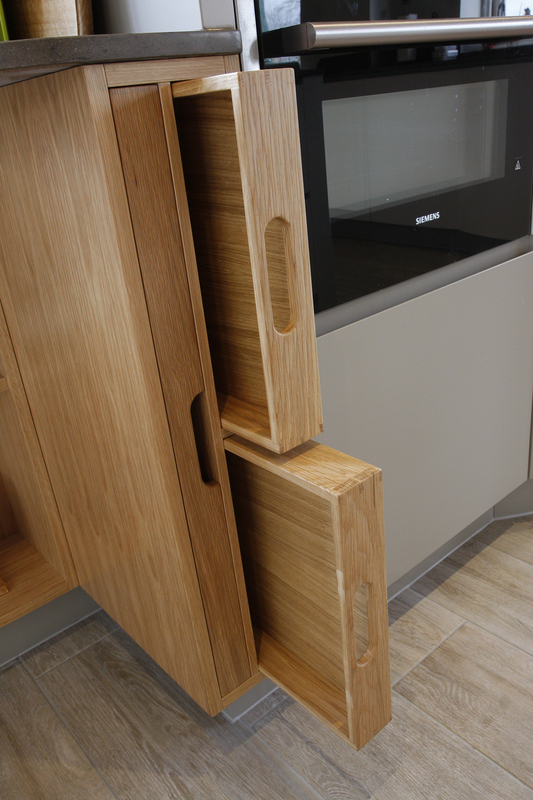 Keep everything to hand and in its place with bespoke drawers. 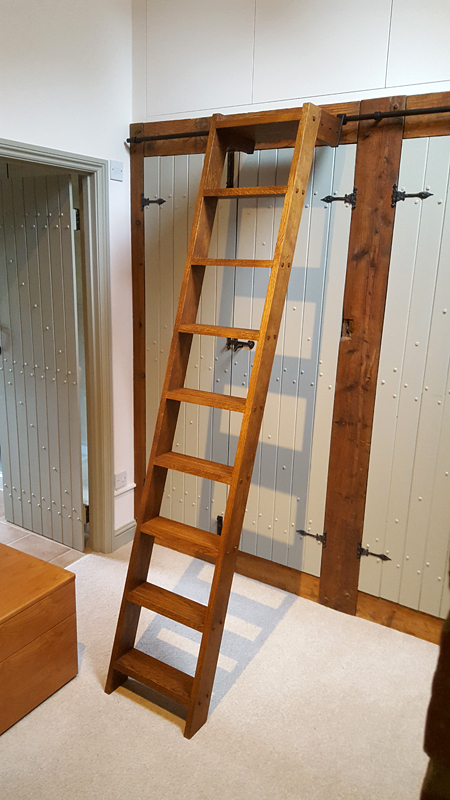 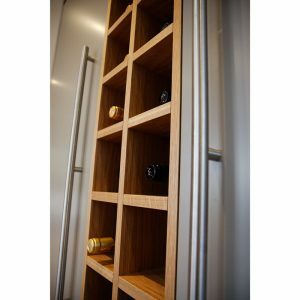 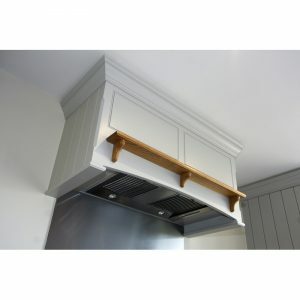 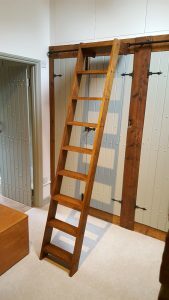 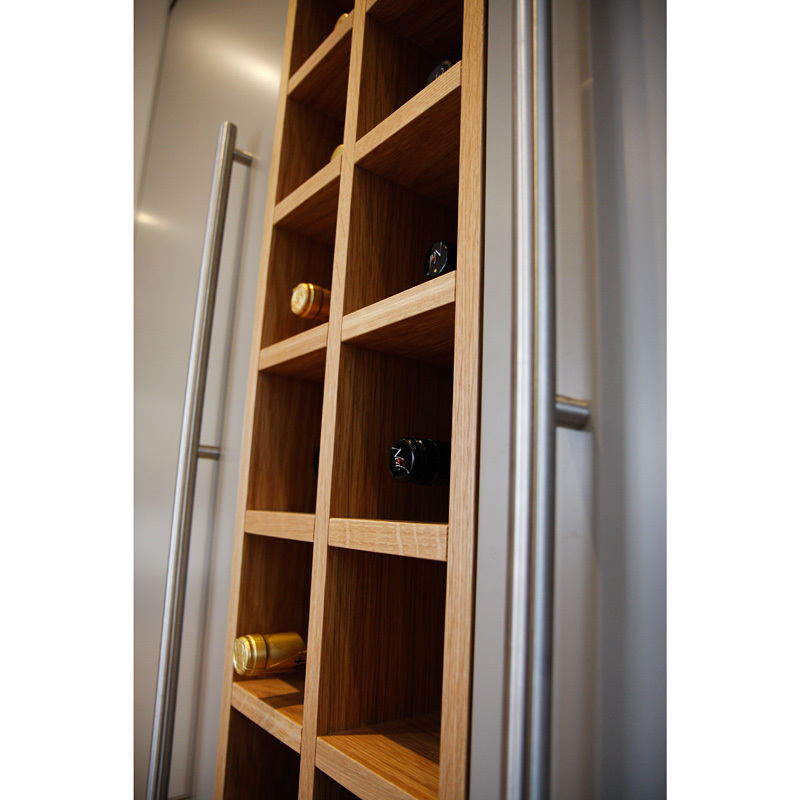 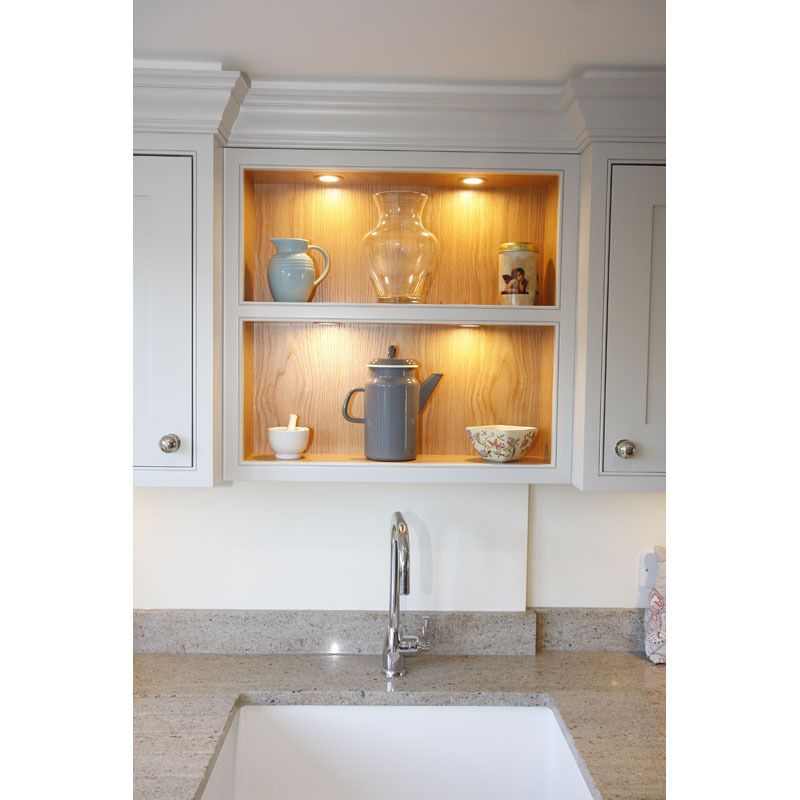 Perfect for difficult places such as above a window, over the hob or even fitted to the side of a cabinet – we can make shelves to any size or depth. 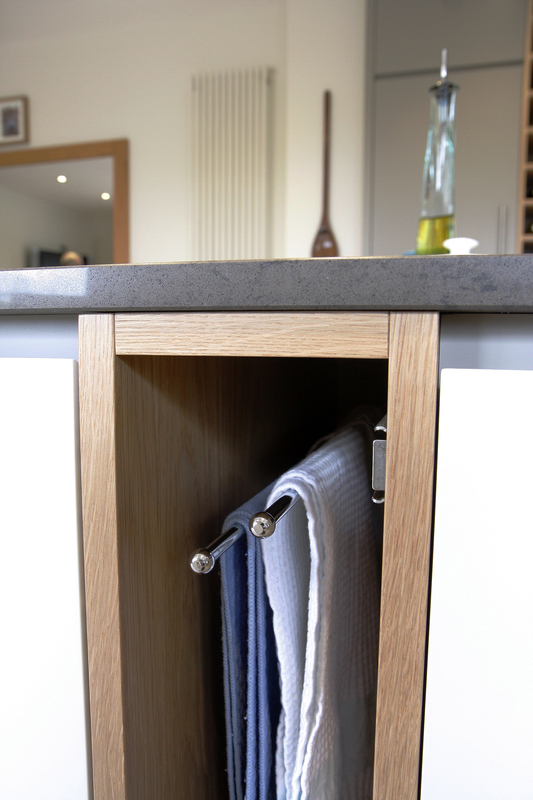 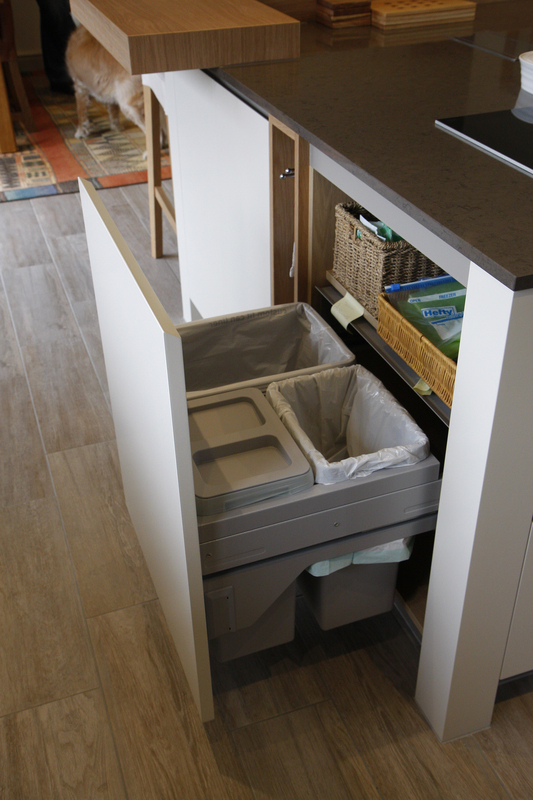 Hide away those awkward laundry items by creating a purpose built area hidden behind bespoke doors. 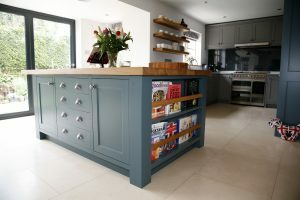 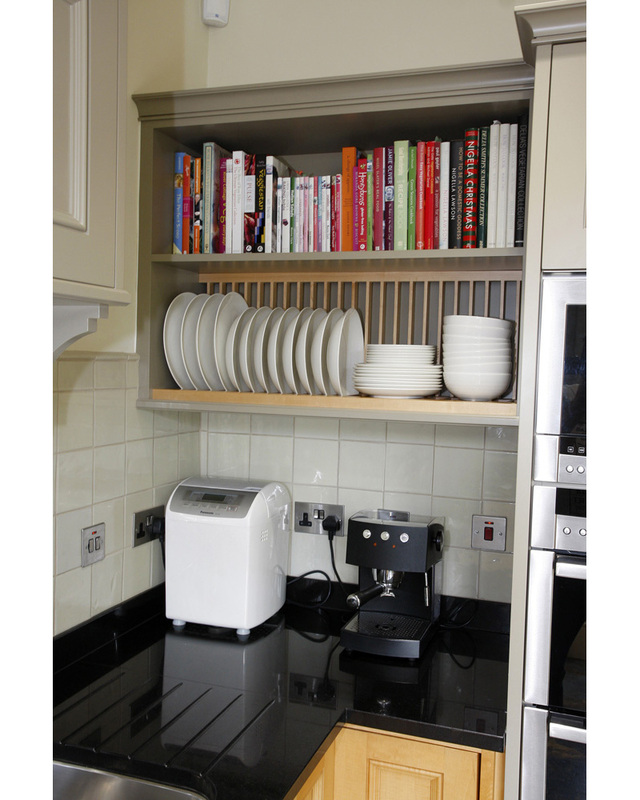 Add worktop area and under counter storage with shelves at the end to provide the perfect space for cookery books. 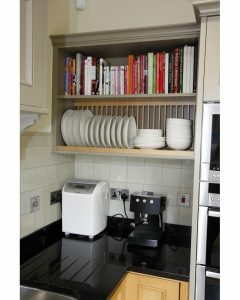 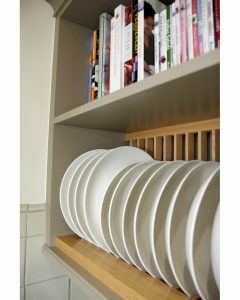 Don’t lose space because you can’t reach, fit top cupboards with a sliding ladder. 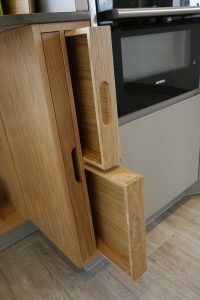 It’s the little things people forget about but we don’t because we know they make all the difference to the perfect kitchen layout. 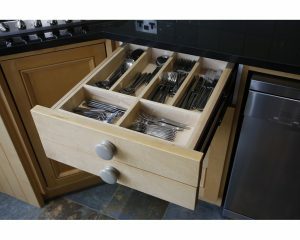 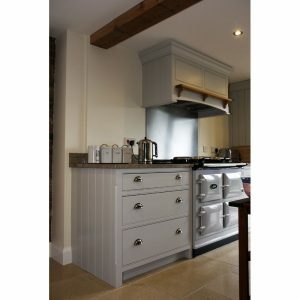 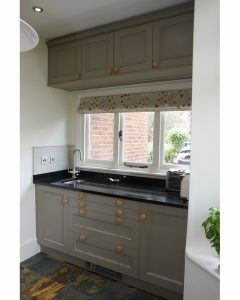 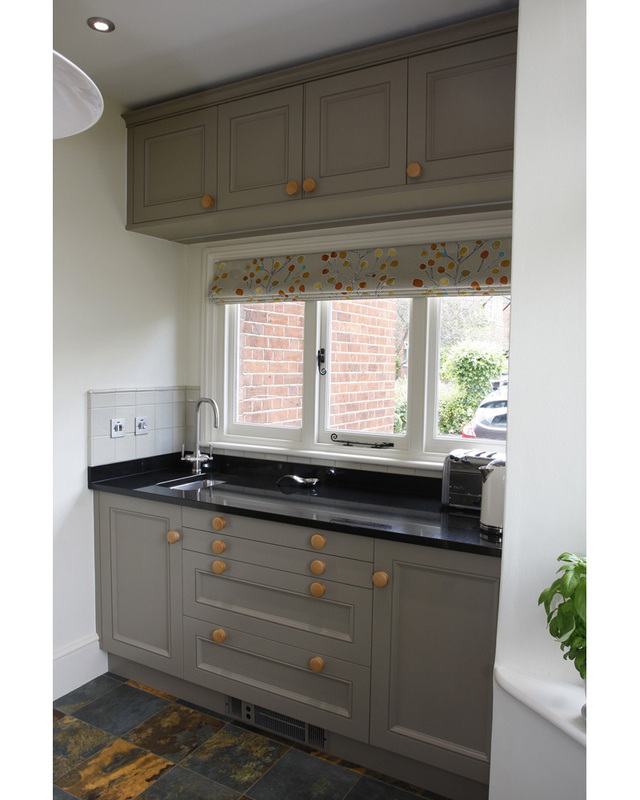 Get in touch with Mark Williamson Kitchens for a free kitchen consultation and no obligation quote. 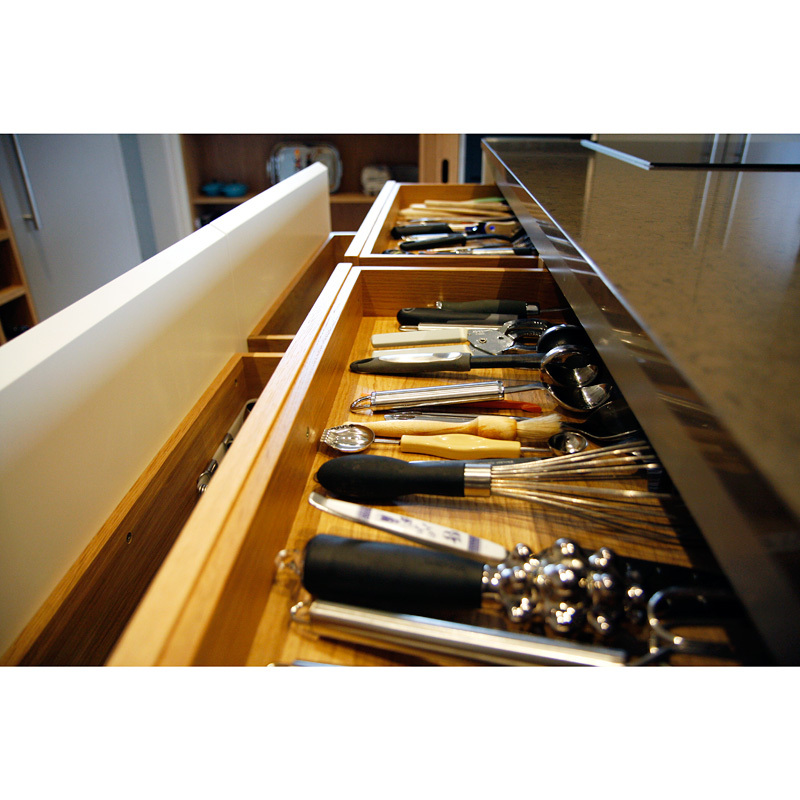 Click here to see what our clients say about us.